is especially to be recommended to persons who are busy or not inclined to lengthy devotions. It is an association of fifteen persons, each of whom pledges to recite ONE DECADE OF THE ROSARY DAILY for a given space of time. The fifteen mysteries are distributed among each group of fifteen members, so that the ENTIRE ROSARY IS RECITED EVERY DAY BY THE GROUP. These groups of fifteen may be composed of persons of any age or occupation who agree to pray for one intention, or for many intentions; for a short interval or for a lifetime. The mystery assigned is recited privately, at any time of the day, and in any place. Let us consider a practical example. Fifteen Catholic young men and women in a school, study-club or factory, form an association of the Living Rosary to pray for the right choice of a state of life, conversions in the parish, or success in marriage, respectively. Each member says only one and the same mystery during the period agreed upon, but the Blessed Virgin is honored with the beautiful gift of one complete Rosary from the group each day. 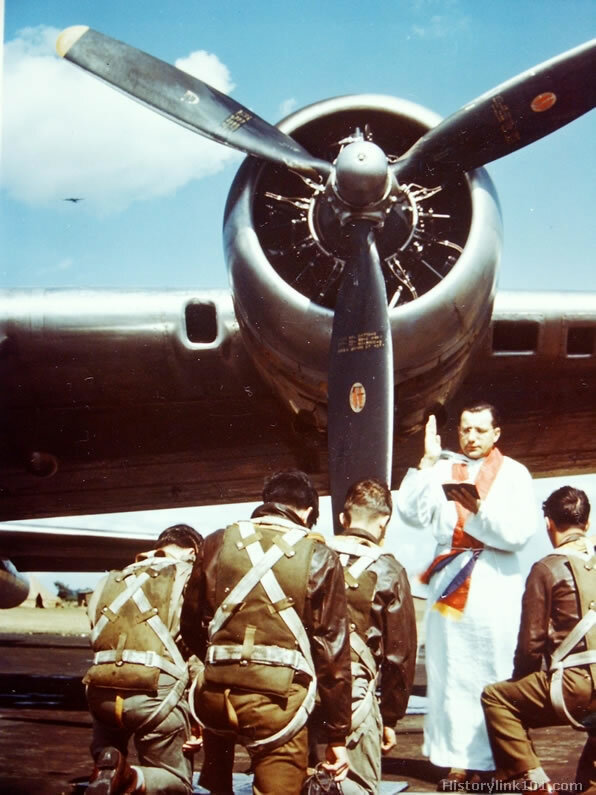 During World War II, for example, thirty air pilots, graduating from flying school, formed two Living Rosary groups in order to pray for each other’s safety. Pilot Smith chose the first Joyful Mystery, The Annunciation. Pilot Jones received the second Joyful Mystery, the Nativity; and so on, through the fifteen mysteries. Each pilot promised to recite the SAME MYSTERY ONCE DAILY until the end of the war. Eventually these air-men were scattered to the four corners of the earth, sweeping the skies of Germany and Japan, but each remembered, once daily, to offer his particular mystery to the Mother of God. Thus, throughout the war, Mary, the Queen of Heaven, was honored with the daily gift of two complete Rosaries from this group. Laymen, laywomen, priests or nuns may organize many “living chains of the Rosary” with little effort, assigning the various mysteries and intentions, and if necessary, giving instructions an how to recite the Rosary. Mary has promised special graces to those who propagate the Rosary devotion. Such groups may be formed in schools, colleges, factories, hospitals, military camps, study-clubs, or wherever and whenever devout souls desire to consecrate morale and morality to Jesus through Mary. In one parish of the United States, the Living Rosary, with more than 2,000 members, has been in continuous existence for more than seventy-five years. The mysteries may be assigned, or exchanged, orally or printed on attractive cards, at a monthly gathering, if desired; or drawn at random from a bowl or basket with entertaining ceremony.